You knew David Letterman would have some great guests help to send him off as he winds down a memorable career on late night. Not surprisingly, the great Norm Macdonald is hilarious in his final Letterman appearance, but it is a bit surprising to see crusty Norm get so emotional. This one is worth watching . . .
You can follow Norm on Twitter here. 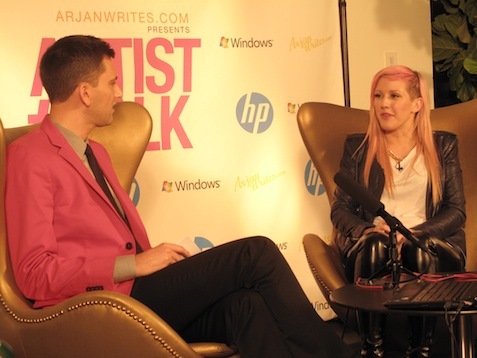 Last night at Manhattan’s posh Hotel on Rivington penthouse suite, HP and blogger Arjan Writes presented a special preview of “Halcyon,” the new album by British pop sensation Ellie Goulding. Best known in the United States for her monster hit, “Lights,” Goulding has gone on to great success stateside, appearing on “The Late Show with David Letterman” and “Saturday Night Live,” as well as a special guest appearance at the White House last December, where she sang Christmas carols onstage with Barack Obama. For all of her enormous success in the last few years, though, Goulding is a very humble, down-to-earth and endearing personality. That is not to say the album is relentlessly downbeat or somber, however, as Goulding is quick to point out that “I like making things that give people hope, I suppose, in the least cheesy way possible.” Ellie Goulding’s career certainly seems to show a lot of hope, with unreleased collaborations with the likes of Skrillex and Swedish House Mafia possibly on the way “in the next couple of years,” proving her mantra that anything could happen. Is America ready for Howard Stern in prime time? “America’s Got Talent” kicks off a new season on May 14th with Howard as one of the new judges. I miss listening to him on the radio. I was hooked for years but I don’t drive any more in the mornings. There’s no doubt in my mind that Howard will be a huge hit on this show, and it’s a great opportunity for him to be exposed again to a huge audience as his satellite radio show doesn’t have the reach of his syndicated radio show. Of course, he’ll still pocket $15 million per year even if he bombs, but I wouldn’t bet on it. The video above is classic Howard, as he gets Letterman to discuss his feud with Jay Leno. Hopefully Howard can parley success with this new show into an interview show in the future. Nobody gets celebrities to open up more and address personal and hilarious topics like Howard. Bullz-Eye: Hello! How are you? IR: I’m fine, thanks. And you? BE: I’m wonderful. It’s a pleasure to speak with you. IR: It’s nice to talk to you. 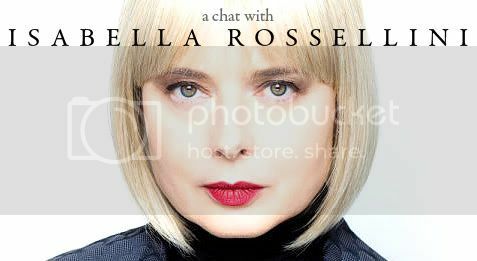 Thank you for interviewing me! BE: (Laughs) Not a problem! Well, “The Phantom” is certainly not your first foray into the world of science fiction, but are you actually a fan of the genre? IR: I’m not really a fan of the genre. You know, I do see some films, but I must say I don’t go see them religiously. I love working with the producer, Robert Halmi, with whom I’ve done several films, so when Halmi called me to play this small role in “The Phantom,” I had no hesitation. I’ve been with him for five or six productions in the last 25 years, among which are “Merlin,” “The Odyssey,” and “Don Quixote,” and they’ve always been wonderful. They’ve always been… (Hesitates) It’s been great to work with the group, he has a fantastic eye, and every time he hires a director, it’s always somebody young who…well, he just has an eye. He hires them, and they turn out to be fantastic and, a few years later, they’re top directors. That’s how it has been with Paulo (Barzman), the director of “The Phantom.” So the reason why I said “yes” to this small part was because of this history that I had with Bob Halmi, and…I was surprised, actually. I had a doubt. For me, the Phantom was so much that image that I had from the 1930s, and he kept on saying, “No, no, it has nothing to do with that. It’s not trying to be retro.” And that image of the original comic strip was so strong that I was amazed, actually, when I arrived and had seen how they had transformed it to be a contemporary, modern film. BE: So what are the challenges of playing a part like this? Because I’d think it would be a challenge to play a live-action comic book character without taking it over the top.